Log in to add comments or rate this document. 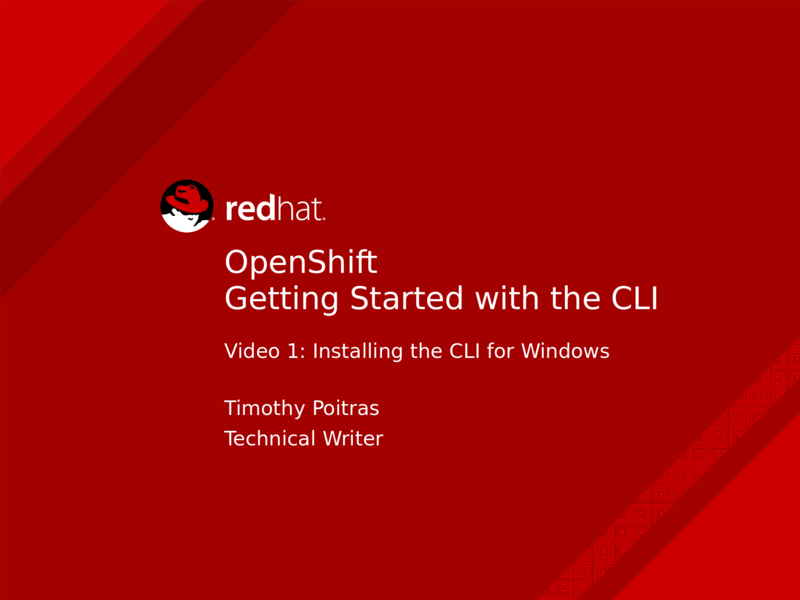 The OpenShift CLI exposes commands for managing your applications, as well as lower level tools to interact with each component of your system. This video guides you through getting started with the CLI, including installation and logging in to create your first project. Very nice, but where can I find the file to download? It says I need to have an Active Subscription. Do I need to buy one to get the download file? Or how do I get one?